Your vehicles suspension is designed to improve handling, braking, as well as passenger comfort. 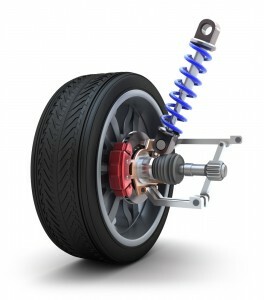 A suspension system is composed of several components such as springs, struts, shocks, control arms, and bushings. Damaged or worn suspension components can cause, uneven and or excessive tire wear, poor handling, wandering, leaning, pulling as well as poor braking performance. We always use quality parts that meet or exceed manufactures recommendation to ensure that we provide our clients quality repairs and service.